A new villain in town brings new dangers! The second series of BBC’s The Musketeers Series 2 is now out to buy on DVD & Blu-ray, with a host of action, romance and new villains to continue the swashbuckling adventures of Athos, Aramis, Porthos and D’ Artagnan. Series two comes back bolder, darker and more dangerous as the stakes are raised. Peter Capaldi has moved on to pastures new (a small role I’m sure no-one’s heard of in Doctor Who) which has meant a swift exit for the Cardinal. But our heroes are nothing without a common foe which is filled superbly by Marc Warren (Mad Dogs), who joins the cast to play the villainous Comte De Rochefort, a dashing and persuasive aristocrat, with a talent for sword fighting and betrayal. A strong story arc that has intriguing and devastating results for some characters brings more depth and suspense to a great drama and cast of characters. Meanwhile, the female characters are also highlighted more with their own moral dilemma’s as they struggle with the restrictions placed on women of that time. Constance joins the Queen Anne’s side as an ally, as she faces suspicion over her relationship with Aramis, and struggles to support her troubled King whose paranoia has reached new levels, as unbeknownst to him his closest aide plots against him. As the series progresses the true nature of Rochefort’s plotting is revealed and everyone around him is drawn into his sinister web. As the palace walls hide many a secret, the Musketeers face their own journey’s this series, with Athos (a brilliant nuanced performance by Tom Burke) coming face to with his past life, and also faced with the return of his wife Milady. Can he trust that she has turned over a new leaf, or is she manipulating him? Porthos (Howard Charles) meanwhile is looking for answers regarding his father – which may strain his relationship with the Captain. And Aramis’ philandering causes more trouble with devastating consequences. The contemporary adaptation of Alexandre Dumas’ novel is once again written by Adrian Hodges, who successfully treads the fine line of a great escapist family drama that continues to improve and delight with an undercurrent of darker storytelling starting to emerge. There’s still plenty of sword fights and heroes to root for, yet includes enough danger and villains to love-to-hate that prevent it becoming predictable, safe and twee. The DVD and Blu-ray from BBC Worldwide comes with 6 Behind-the-Scenes Featurettes for fans to enjoy. Good news is, The Musketeers will also be returning for a third series. 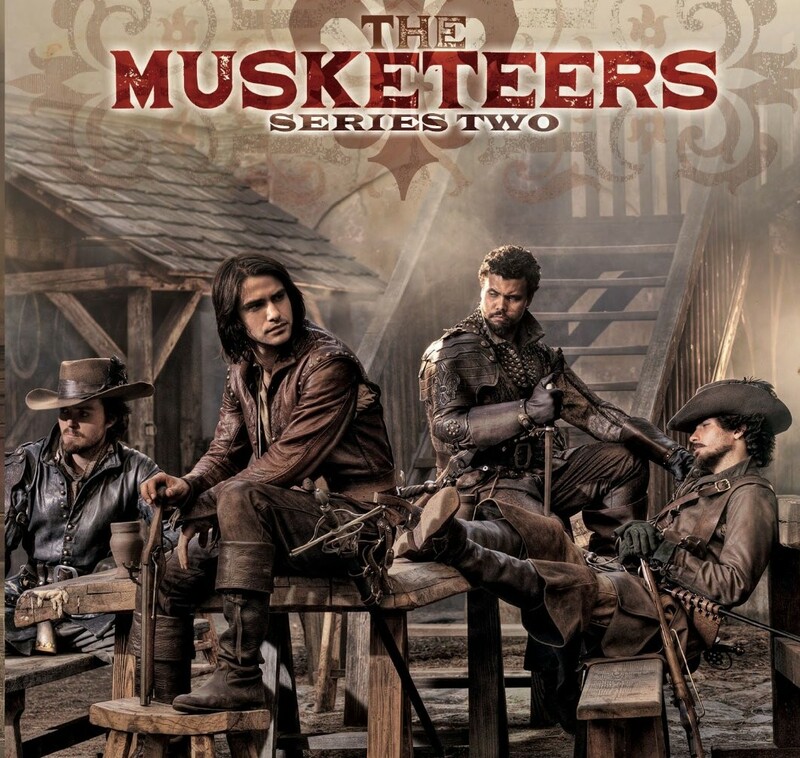 The Musketeers Series 2 is released on DVD & Blu-ray today (6th April). Series 1-2 box set is also be released on DVD and Blu-ray.